Maybe it’s an inherent competitiveness or just the pursuit of improvement, but it’s commonplace for people to seek out benchmarks they can use to assess their relative position or performance. It interests people to know how they compare to their peers. Benchmarks have a place in business, too, and can be an invaluable instrument to help business owners succeed. Think about running a business like having a horse running in a horse race. Knowing how a company ranks relative to others—before the starting bell, halfway through the race and right before its conclusion—empowers management to evaluate the company’s performance. Armed with that contextual information, they can potentially adapt strategy and affect the company’s final ranking (if there is a “final ranking” at all in business). The most difficult step in financial benchmarking is acquiring benchmarks to use. Part of the difficulty stems from ambiguity around the word “benchmark”, which could be interpreted as either an average statistic (a “C” on a school report card) or an above-average performance grade (an “A”). Depending on the data available, a business may benchmark using either approach, as long as the business owner understands what the benchmark is and how it compares to their ideal performance. When selecting benchmark data to use, it’s recommended to seek out data with the following characteristics. Accuracy and representativeness. When possible, a business owner can ascertain the data’s accuracy through a little due diligence. Best practice requires that benchmarks come from a large enough peer group to be representative of the broader population and were collected using objective and error-free techniques. Heed Ronald Reagan’s advice to “Trust, but verify” the data prior to relying on it for decisions, as every data set has its eccentricities: sources of the data, bounds used to determine outliers, sample size or even classifications. Recency of the data. The race businesses run is real-time, and industries shift financially over the course of a year. Consequently, if a company uses benchmarks from a previous year, the resulting analysis could be ineffective or altogether misleading. In some cases, old data can’t be avoided. For example, 2012 tax return data won’t be available for benchmarking until at least mid-2013. But whenever possible, ensure that benchmarks being used are the most recent benchmarks available to account for seasonality, economic cycles and other externalities. Relevancy to the business being analyzed. Race conditions vary track to track. This explains why, before a large event, race participants will practice to acquaint themselves with the environment. In a similar way, different industries, geographies and business sizes have their own trends and externalities to incorporate. One example might be a state government tax change that affects businesses operating in one state but not those in the adjacent areas. Or, the change could affect only businesses with annual revenues over $5M, altering their profitability. In order to maximize data effectiveness, business owners should seek out data that is granularly defined and corresponds to the business being analyzed (e.g. operates under similar laws, uses the correct NAICS classification). 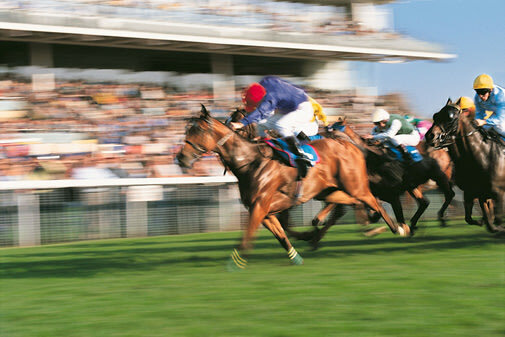 Starting an informal benchmarking analysis for your business does not guarantee a win in the horserace, but it’s a good start to knowing what you must do next to take first place, financially speaking. Libby Bierman is an analyst at Sageworks. Sageworks provides private-company financial information and develops financial analysis solutions. It works with thousands of financial institutions, private companies and accounting firms across North America. For more information about Sageworks, visit http://www.sageworks.com.